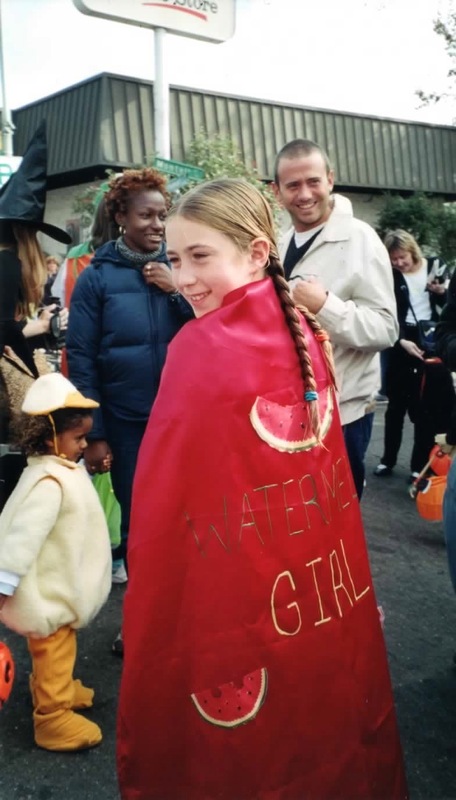 “I spit seeds at bad guys!” I say as Super Watermelon Girl to a woman dressed up like a ladybug at Piedmont Avenue’s annual Halloween parade. Elementary school girls in the '90s often went through obsessions with horses, soccer or The Spice Girls. My infatuation, however, was with watermelon. 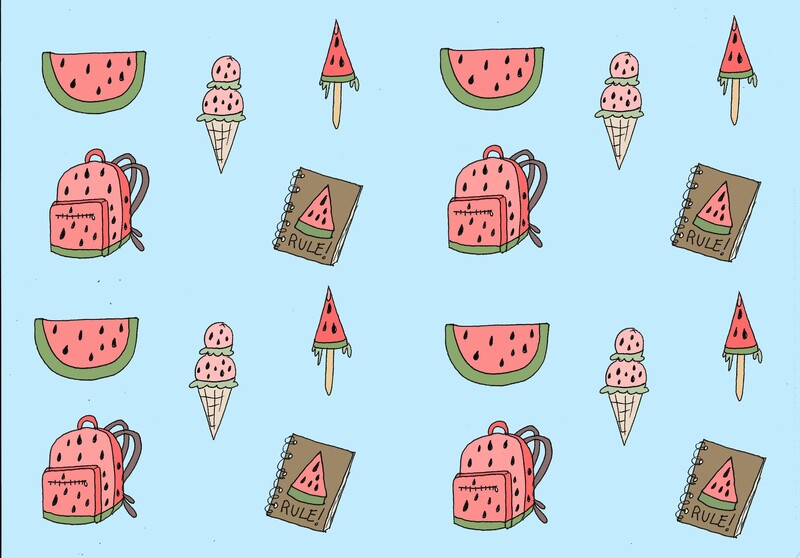 I adored anything watermelon, from erasers to ice cream to the giant stuffed watermelon, Melly, my mother sewed me for my birthday. I even AOL Instant Messengered my friends from the screen name watermelOgrl (watermelongrl was taken). The first day of 7th grade, however, I decided it was time to shed my Watermelon Girl identity and step into a more “grown-up” phase of preteenhood. I put all my watermelon items in my “special box” that lived in my closet, a container where all the past versions of Lila hibernated. As I prepare to attend Bauman College this fall to become a Holistic Nutrition consultant, I acknowledge the now adult Watermelon Girl who is ready to step into her own food-related super powers. One of the reasons I was drawn to this program is that I have been fascinated with the concept of food as medicine, which I explored in my article Ayurveda: A Journey Towards Balance Using Food As Medicine. Following my curiosity on this subject, I recently attended an “Everyday Food as Medicine” workshop at the Qulture Collective in Oakland led by Mamie Chow L. Ac., acupuncturist and food as medicine consultant. She spoke about practical ways to apply traditional Eastern wisdom to our busy, modern lives. The way Chow described Traditional Chinese Medicine’s view of food gave me a new perspective on the foods I eat. To learn more, I read Paul Pitchford’s Healing with Whole Foods: Asian Traditions and Modern Nutrition. As the bountiful piles of watermelon roll into Berkeley Bowl for the summer, I’m inspired to share what I have learned about the medicinal qualities of fruit, so others can feel that vibrancy that exists within the food we eat even after it leaves the soil or the tree. In her workshop, Chow explained how traditional Chinese medicine’s approach to food and nutrition revolves around the balance of yin and yang. 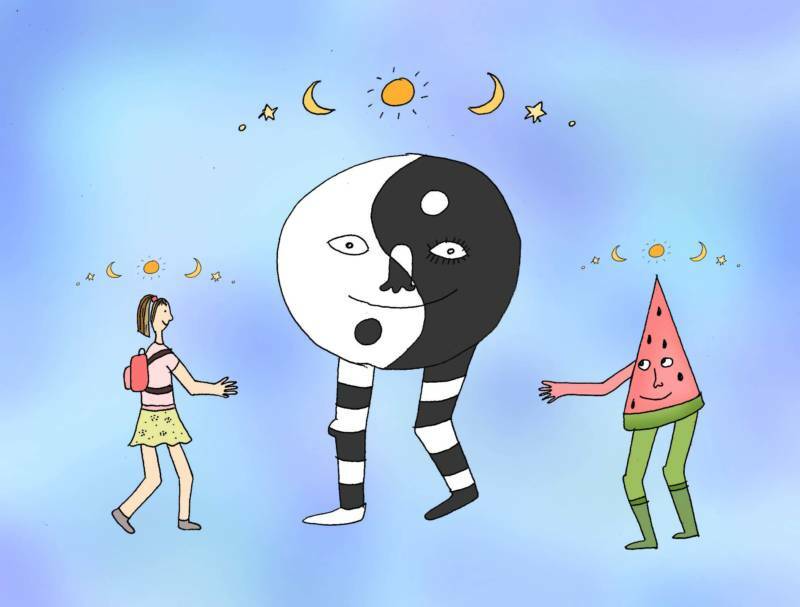 Yang encompasses Qi (energy), warming, day and sun while Yin refers to rest, cooling, night, and moon. Chow told the workshop attendees that every food has an action, a temperature and a flavor. The action of a food can promote organ expansion, contraction, moistening, drying, relaxation or strengthening. 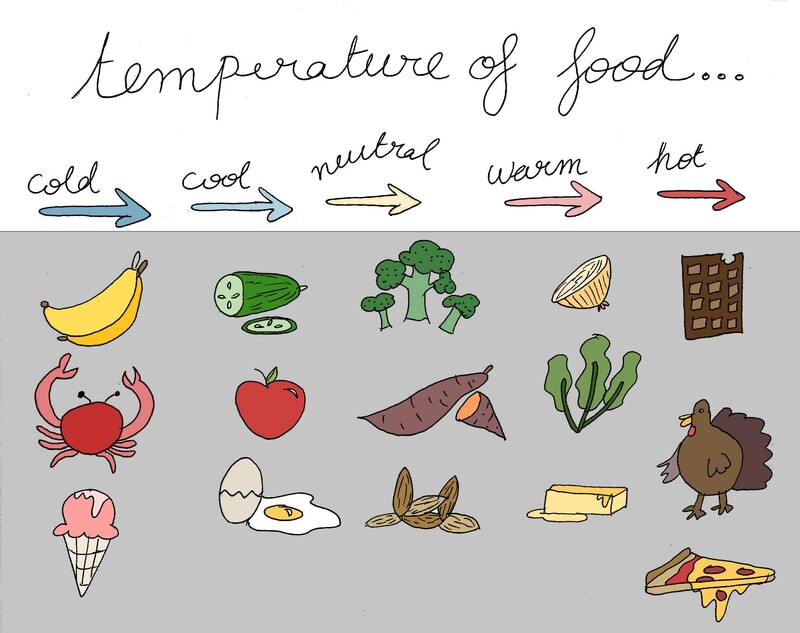 The temperature of a food can be placed on a spectrum from cold to hot. And the flavor of a food can be salty, bitter, spicy, sour or sweet. “Consuming fruit gives our body a break from foods that take more effort to digest,” says Paul Pitchford, in his book that unites Western research on health and nutrition with the traditions of Eastern medicine. He also mentions that most fruit is alkalizing with its cooling and cleansing properties, which can help balance the over-consumption of rich foods in the American diet. 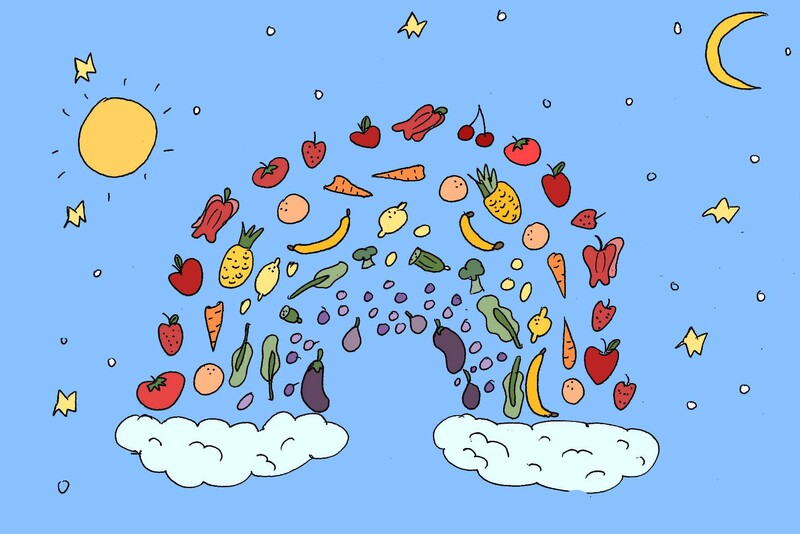 Chow shares the benefits of “consuming the rainbow” through eating different colors of fruits (and vegetables). Each fruit has different antioxidants that help cleanse the body from the toxic oxidized agents we are exposed to such as rancid oil, charred meat, plastic bags, containers and packaging. Chow explains that fruit digests at a different rate than other foods and therefore is most beneficial when eaten by itself. Americans love to eat fruit with pancakes, ice cream and yogurt, which can stifle digestion and produce “dampness.” I learned that traditional Chinese medicine’s concept of “dampness” points to a sluggish digestive ability. There are many factors that can contribute to “dampness,” one of them being diet. Chow gives some possible symptoms of “dampness” such as, easy weight gain, inflammation, fatigue (especially after eating), chronic yeast infections and skin problems. I took away that when it comes to fruit, you want to let your strawberry have your taste buds’ undivided attention. Too much fruit, however, can also cause “dampness.” In the Everyday Food as Medicine workshop, Chow mentioned the importance of moderation. A simple way to measure how much of any one kind of fruit to consume for the day is to enjoy what can fit in the palm of your hand. The ideal time to eat fruit is as an afternoon snack, but even though it seems contradictory, a Chinese folk remedy says, “One should eat exactly five strawberries before every meal to aid in digestion,” Chow adds. Traditional Chinese medicine supports living in harmony with your environment and you can check out CUESA’s seasonal fruit and nuts chart (a non-profit whose mission is to educate urban consumers about sustainable agriculture) to find out when specific fruits are in season. Apricots may help you out on your next bird watching trip. With their neutral temperature they are said to help your eyesight and increase yin fluids. A few apricots might quench your thirst and soothe your dry throat as you observe that eagle’s nest with your newly enhanced vision. Cherries are perfect for the Bay Area’s summer fog. Since they have a warming temperature they are suitable for those cloudy days at the beach. But don’t fret! Pitchford writes that cherries tonify the spleen, which is associated with the emotion of worry. So maybe your beach birthday party didn’t have all that much sun. You can keep your self-worth intact by enjoying some of these red jewels that help “hold in your “essence” and qi,” as Chow puts it. Peaches are excellent after a long, hot and dusty hike. They are cooling by nature and can promote blood circulation and nourish body fluids. Pitchford says they are great for dry conditions of the lungs. After trekking in the sun for many hours, your warm tuna fish sandwich looked a little dicey, but you ate it anyway. They can also help gastrointestinal inflammation for the ride home. Raspberries will come in handy when you’re camping. They are neutral in temperature and are help treat frequent urination especially at night, Pitchford writes. If you don’t want your slumber to be disturbed in your sleeping bag, you may want to consider a dessert of raspberries before you hit the sack. 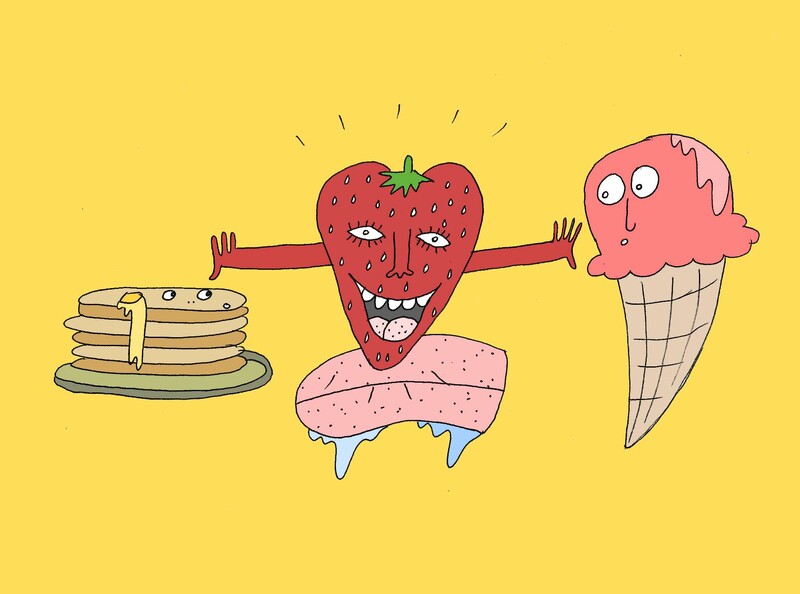 Strawberries are fit for the peppy summer camp counselor shouting cheers all day long in the sun. As a cooling fruit, Pitchford explains that strawberries moisten the lungs and can be used for thirst, sore throat and voice hoarseness. They are also great for skin. If you’re feeling crafty you can make a strawberry puree facial. Watermelon is best suited to ease the feeling of cranky-heat. Suppose you are celebrating at a friend’s BBQ. Its possible you may have had one too many beers, got a little bit sunburned and ate a few overly charred burgers. Eating watermelon can cool your stomach, sooth irritability and promote fluid creation. After learning about the medicinal qualities of watermelon, I realize that my preteen obsession may have had something to do with their ability to quell the emotions from endless middle school drama. Now, I can eat watermelon, knowing it will soothe the effects of the summer heat (and if all else fails, I can always spit seeds at bad guys).